In Memory is a unique program that honors New Jersey men and women who served and died as a result of the war in Vietnam, but whose names are not on the Memorial. Some of these deaths are due to Agent Orange exposure, Hepatitis C and the physical or emotional wounds received in Vietnam. The deaths of these individuals are no less tragic than those that occurred in-country, but their names do not appear on the Memorial. 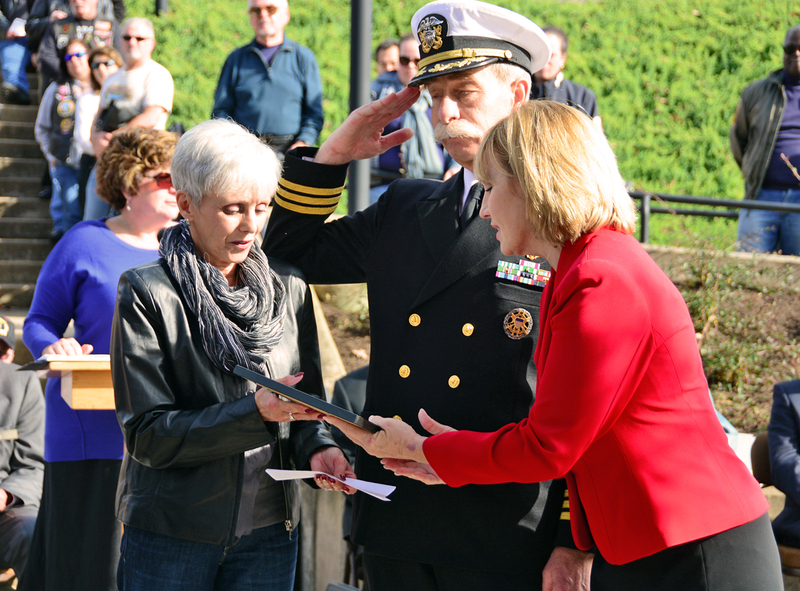 This program was initiated to honor these veterans and civilians. Their names will be placed on an engraved stone inside the Memorial so that all who visit will know that they are with their honored comrades. Contact our In Memory program coordinator Gerry Appel, at gappel@njvvmf.org or 732-335-0033 x 100. Veterans Administration paperwork stating that death has been recognized as service connected. An induction ceremony is held annually on March 29 – National Vietnam War Veterans’ Day. The family is invited to attend the ceremony, speak about their loved one, and receive an In Memory certificate. An engraved paving stone is permanently placed at the ground level of the Memorial where it will remain forever surrounded by fallen comrades. A binder including biographical information provided by family members and friends will be placed in the Resource Library of the Vietnam Era Museum & Educational Center. The binder may include family photos, letters, medal citations, and other pertinent information the family chooses to share. Additional information may be added at any time.